Finally, the Flow Chill fits its name. When you bomb a hill the dampening let’s you chill and when you hit a jump you have to chill or you’ll get sent. With the switch from Flow’s ABT to its new Kush Control, the Chill finally gets the dampening correct. In past years the Flow Chill had ABT or Augmented Base Technology. While ABT had some fun aspects to it, it qualified for the “freak show” side of snowboarding tech. The new Kush Control’s urethane on the other hand eliminates chatter at high speeds and doesn’t make you re-learn how to ride a snowboard. With urethane in almost every snowboard binding now, we are starting to see it pop up in a few snowboards. Flow has added it to a ton of boards and Rossignol has it in a few of their boards. It’s weird when the worst thing you can say about a snowboard is that it’s too poppy, but that’s what we have here. We’re not sure if it’s the carbon stringers or the quad weave fiberglass, but the Flow Chill has tons of pop. Honestly, most snowboards have a learning curve and we’re just glad that we have time to figure things out. The flex of the 2016 Flow Chill snowboard is medium between your feet and stiff our on the tips. We found presses and butters to require all of your weight, but it was still doable. In all, the 2016 Flow Chill is a great mix of pop and dampening. If you ever ridden a board that had tons of pop and no dampening you can probably relate to getting bounced around when hitting variable snow conditions. We feel this board is best for an intermediate rider and up. 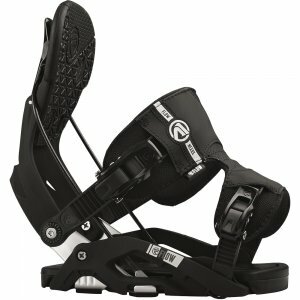 It’s great for the park, especially jumps, but can be ridden all mountain with no problem. This is one of our favorite 2016 all-mtn/freestlye snowboards of 2016. 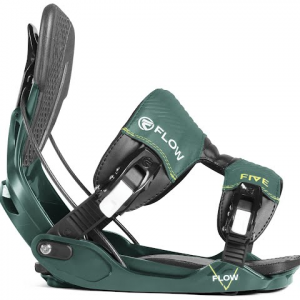 The Flow Chill is a Tru-Twin, all-mountain freestyle board that features a camber profile and a nice mid flex feel that is not only easy to ride in all conditions but holds an edge and carves like a knife. The Chill features our Plus KUSH-CONTROL technology that consists of 3 unique urethane features strategically placed in the base, sidewall and topsheet to create the smoothest and strongest boards on the hill.